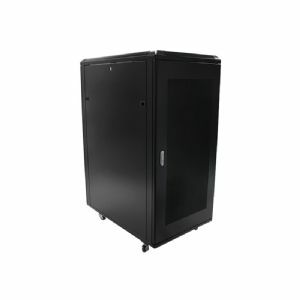 Easy to transport and quick assemble 25U secure server rack cabinet. 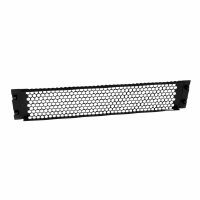 This server rack provides 25U of storage space in a sleek secure cabinet for storing EIA-310 compliant 19" rackmount devices such as Dell, HP and IBM servers along with telecommunication and A/V equipment. 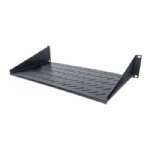 The rack creates a robust storage solution supporting a total load capacity of 800 kg. (1763.7 lbs. ).